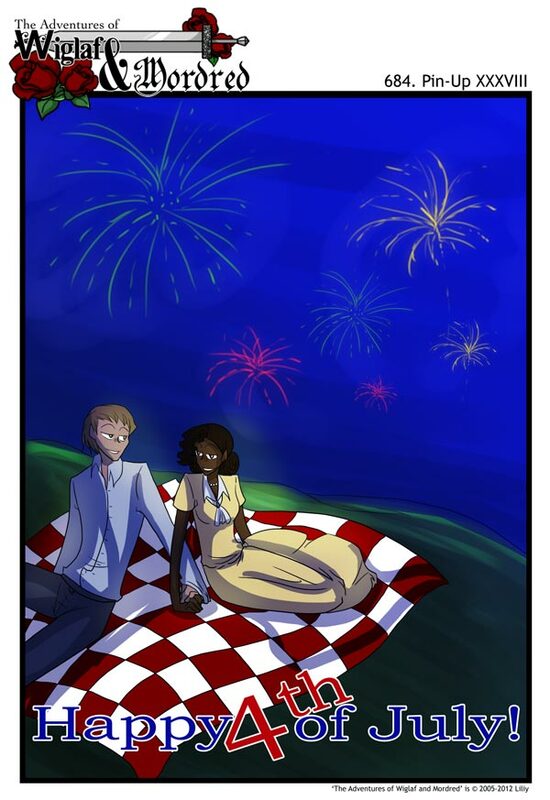 And so we get Prudence & Frank’s first Forth of July together. They were married. Although one of them is now an an artifact, and the other is either an artifact or dead. Probably dead. Although it would be awesome to see Frank as an artifact, and one that can be used in perfect conjunction with Prudence, augmenting whatever powers she has. Nice fireworks. Did you make a brush?